Marta Camarada is a London-based freelance photographer and digital marketer who's passionate about telling authentic stories through her work, documenting subcultures and the intricacies of everyday life. Growing up between Angola, Kenya and Lesotho, she came to London for university. When she's not working/shooting she's planning her next trip, watching ocean documentaries, gaming and spending time with loved ones. My name's Marta Camarada. I'm currently based in London and I'm a freelance photographer and digital marketer. I grew up across 5 countries and travelling runs in my veins. I'm into telling authentic stories, outer space, deep sea, and all things to do with Africa, art, and travel. How does photography influence the way you travel and see the world around you? Before my love for photography was my passion for travel; I think as photographers we are more attentive to the details around us so that definitely leaks into how I see the world around me. Ultimately I'm a documentary photographer first. I'm always looking around me and almost everywhere you look, even without trying, there is something to capture. I see the beauty in even the most mundane things. What sparked your interest to travel to Angola and Mozambique? Which region(s) did you visit? How did you plan for your trip? How did you navigate between each city? I'm from Angola and although I grew up around different African countries Angola has always been home and my parents made a real effort to keep us rooted and close to home. I traveled to Mozambique because my dad was actually working there, so I spent 3 separate Christmases there with my family. My family is big on outdoorsy things, so most of these countries I have seen by car through road-trips – this was our main mode of exploration. In addition to the capital city Maputo, where I was based, I visited Tofo Beach; an incredibly underrated beach town. There's loads to do here, like snorkelling, diving, surfing, enjoying the nightlife, and a pretty solid health and wellness scene. Another region is Ponta do Ouro in the southernmost part of the country – this is very close to the South African border, so there is a huge South African influence here. English is widely spoken in this part of the country. 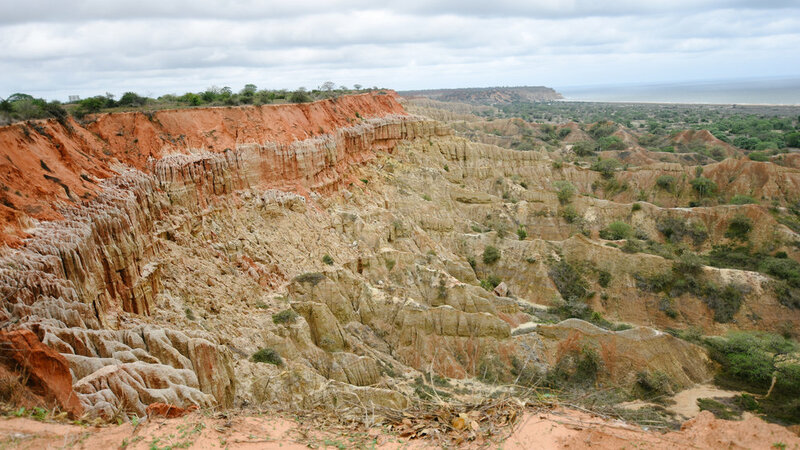 My favourite part of Mozambique has to be Vilanculos (Vilankulo) a little further North of the country. This has to be one of the most beautiful places I've ever seen in the world. I'm talking pristine seas and white sand: highly recommended. It's very close to the Bazaruto Archipelago (a group of 6 islands) and the Bazaruto National Park (a place rich in rare marine life). 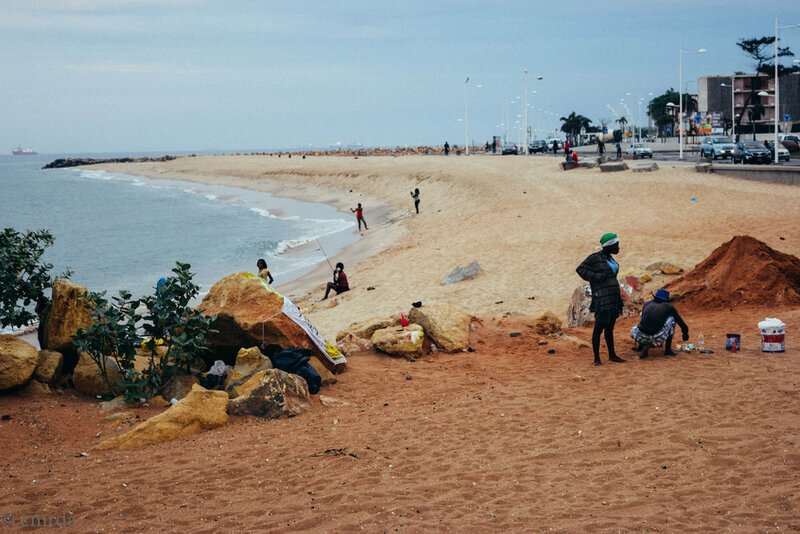 Unfortunately, I have not seen as much of Angola as I'd like to (for now), but Luanda is home to some of the greatest beaches in Africa and we're very blessed to have that right in the capital, as it's pretty rare. I've been to Huambo, the second largest city in Angola and the place I was born; it's in the highlands, so the energy is very different to the hot and humid capital. Huambo is quieter and many say that the people's temperament is much different; a lot less of that big city aggression. I've also road tripped around the Cuanza Norte province where my extended family own a farm. So much of the country is empty and it's beautiful to see so much nature – totally raw. What has been your favorite approach to photography while travelling? Did you generally strike up a conversation with your subjects or just candidly capture the moment? How did people react to being photographed? A mixture of both. It’s all about assessing the situation. You can't strike up a conversation if you're trying to capture a candid moment because you risk ruining the moment. It all depends on what I'm trying to capture. Often candid shots should just be captured and not interfered with. But I also find walking up to someone and asking for their photo extremely fulfilling; it pushes me out of my comfort zone and it’s a beautiful way to capture something unexpected. When you smile at people they automatically become less guarded, so even if they say no it's a warm 'no thank you'. I've never had someone be outright rude or mean to me asking for a photo as long as my approach was warm and friendly. Did you have any expectations or preconceived notions about a culture you would be exposed to? How did they differ from the way the culture actually was? Cuba. I've always wanted to go to Cuba. Angola has very strong ties to Cuba which date back to the 60s where the Cuban army fought alongside Angolans during our civil war. There's still a Cuban community in Angola to this day, so I've always heard wonderful things about the country. My dad is also a huge fan of Cuban music, so Cuba has always felt like a place that's far but connected to us. I didn't really have preconceived notions about Cuba other than it would be totally different to the places I usually travel to, which are mainly in Africa and Europe. What surprised me was how similar our cultures were – being in Havana made me feel nostalgic and reminded me of how Luanda felt when I was a kid. I can't really explain where that came from, but I felt at home in Cuba. Cuba was hands down one of the best travel experiences I've ever had! And if I'm being completely honest, my trip to Cuba cemented my desire to take photography seriously. This is one of the best places in the world for street and documentary photography. The people of Cuba were often friendly and open to having their photos taken – it was incredibly inspiring. Cuba is still an affordable place to travel, so friends and I took road trips to Varadero – a quintessential Caribbean beach town, and Viñales - the mountainous part of the country where most of the tobacco is grown. These road trips were arranged with our Airbnb drivers and done in vintage cars – with no seat belts! It was awesome to be able to see the country by road, which in my opinion is one of the best ways to really know a place. 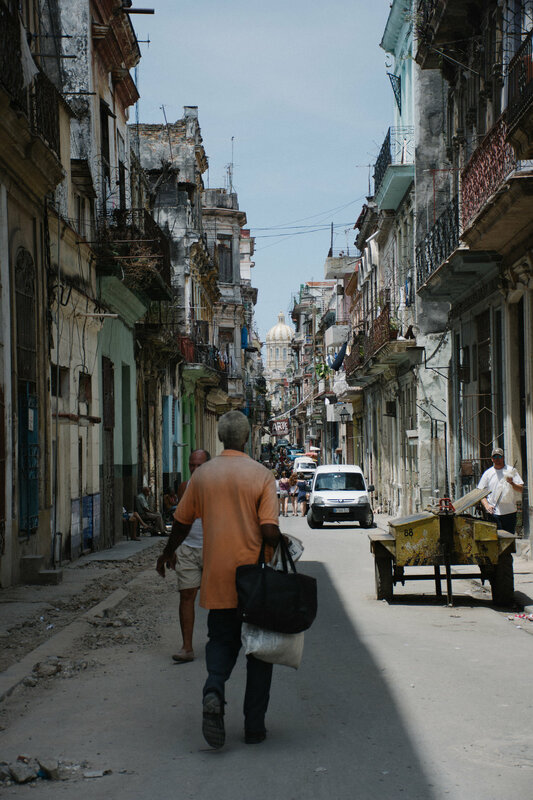 Most of our days in Havana involved walking every inch of Old Havana and exploring the city centre. Old Havana felt limitless. We must have gone back 4/5 times at different times of the day and night and still I think there was more to explore, especially from a photographer's perspective. Personally I'm not a foodie and food is usually the last thing on my mind when I travel. Food is not one of Cuba's selling points, however I really enjoyed their arroz con pollo (rice & chicken) served pretty much everywhere. It was difficult to find good places to eat in town; the options were limited. I'm sure given the political history of the country it makes sense why this is. But we did discover a little cafe next to our Airbnb in Jaimanitas that specialized in local dishes, and we ate every day. In fact, most of us ate rice and chicken everyday (if it ain't broke don't fix it, aye?) to avoid any disappointments when going into town. The alcohol is also very cheap! How did this trip differ from trips you’ve taken in the past? What surprised you most about your experience? What surprised me the most about Cuba was definitely how at home I felt. I was also surprised at the heavy African influence, from the people practicing Yoruba religion to the music to the food. Portuguese is my mother tongue so I could speak broken Spanish; this pushed me out of my comfort zone and got me speaking to people in a language I've never had to speak – I guess you could say I surprised myself in Cuba, which says a lot about this place. How can travellers contribute to Angola or Cuba while visiting the country? I think the best way travelers can contribute to any country is to spend money and support local businesses and people. In Cuba for example, instead of paying triple the price for a touristy coach for a day trip, hire a car from a smaller taxi service, speak to people and get recommendations (make sure you're being safe about it). 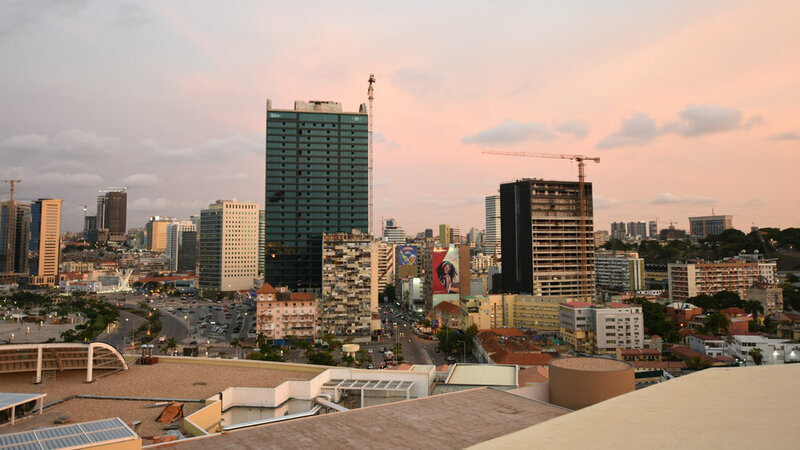 Tourism in Angola is still fairly unexplored, so if you're ever in the country I recommend you eat local, buy from the national supermarket and avoid buying imported goods – these are little things that give back to our economy. What is your favorite/funniest memory from your trips? Is there a particular moment you would relive given the opportunity? The first thing that came to mind was my dad on a paddle board in Vilanculos, Mozambique. He lost his balance and fell into the water. I captured every second of it (which unfortunately I can't share), but that's hands down the funniest memory to me. I'd relive one rainy afternoon in Old Havana, where I split from my group and wandered around by myself taking photos. It was one of those 'time stopped' moments in my life where I was just present and in the moment – it was pretty beautiful. Please pick and note your favorite picture you have captured during a trip and share why it is your favorite. This could be anything humorous or interesting that the reader would not know from just looking at the image. What’s next for you? Do you have any final words of photography tips or advice? I'm planning a trip to the Philippines this summer. South Africa in the fall and back to Angola for the holidays! My best advice to photographers is when you have the urge to capture something do it immediately. It doesn't have to be the best photo in the world, don't ignore that gut feeling to take the photo! DID THIS STORY INSPIRE YOU? If you enjoyed this piece and would like more content like this, please consider a donation to Spirited Pursuit.